The Wine Check (Bag Only). Approved by the FAA to be checked as luggage, the Wine Check bag, together with a shipper box and 3oz cold pack (sold separately), will protect your wine as it travels in the belly of the plane. 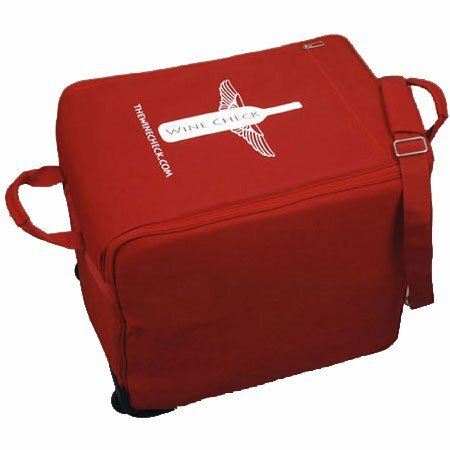 Wine Check Luggage Bag Only Red (P/N WINECHECK). Protect your wine while traveling with Wine Check's patent-pending luggage. The Wine Check is designed to enclose your wine in a wine shipper box and styrofoam case (sold separately) inside the secure padded case.